OTTAWA, June 20, 2016 /CNW/ - The newly-created Canadian Coalition on Distracted Driving (CCDD) has wrapped up its first ever meeting, a two-day working session in Ottawa where it began work on creating a National Action Plan to combat distracted driving. An initiative of the Traffic Injury Research Foundation (TIRF), Drop It And Drive and The Co-operators, the CCDD is the first coalition of its kind in Canada. The multi-sectoral group includes members from various levels of government, enforcement, academia, health, industry and communities. Their expertise is varied, including road safety research, injury prevention and health care, policy, enforcement, as well as the insurance, automotive and trucking industries. At the meeting, a number of options were discussed and considered for possible inclusion in the National Action Plan. These included the identification of priority data and indicators that represent an important step forward in improving understanding of the issue. Other activities that received attention included an inventory of educational campaign materials and a resource centre to support agency efforts to raise awareness about the problem, particularly at a community level. The development of tools to inform industries about distracted driving's impacts and facilitate leadership in the development of distracted driving policies was also a top priority. "As a member of the Canadian Coalition on Distracted Driving, the Ministry of Transportation of Ontario understands the importance of tackling this problem in our province and across the country. Sharing strategies and data will assist us all in addressing this increasingly significant issue," said John Lefebvre, Manager, Special Projects, Safety Policy & Education Branch, Ministry of Transportation of Ontario. "The complexity of the distracted driving problem makes it a challenge to change behaviour, so it is critical that we invest time, energy and resources to develop an informed and evidence-based plan that is achievable, and that more importantly contributes to behaviour change," said Robyn Robertson, President & CEO of TIRF. "The diversity of agencies that are participating in the Coalition speaks not only to the pervasiveness and seriousness of this issue, but also to their commitment to sharing expertise to find the most effective ways to keep Canadians safe." 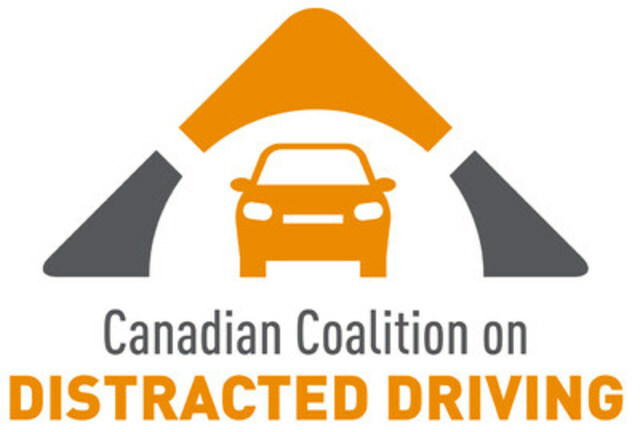 "The Canadian Coalition on Distracted Driving brings together an impressive group of professionals who are committed to understanding the problem and taking action to reduce the number of unnecessary injuries and deaths on our roads," said Kathy Bardswick, president and CEO of The Co-operators. "What the national action plan will do is promote better information-sharing and coordination across jurisdictions and between stakeholders, to ultimately enhance the effectiveness of our collective efforts to combat this significant societal issue."